You want to find private money lenders—and who can blame you? These go-to resources are one of the best assets you can have as a real estate investor. If you can rally a few quality private money sources for your investing business, you’ll be well positioned for success. At the end of the day, funding is the lifeblood of any investor. If you tee up rock solid funding from a few diverse sources and, as a result, create an unlimited funding stream, then you’re wading into all-star territory. The very best real estate investors are the ones who can cross that finish line. And the best part? It’s not impossible—far from it, really. It takes diligence, patience and a commitment to succeed. If that sounds like you, you’re halfway there. Money talks—in this industry, it’s that simple. If you’ve got cash, then you’ve got the power to make deals happen on your terms and your timeline. But that doesn’t mean you have to have a pile of cash stuffed under your mattress (side note: don’t have a pile of cash stuffed under your mattress...ever…). Some investors don’t have tons of money kicking around, especially when they’re just starting out. While there are many ways to do real estate deals with little to no cash, if you intend on buying houses to fix-n-flip or buy and hold for cashflow, then you'll need funding. Wouldn't you LOVE to have the confidence of knowing that if a hot deal just came across your desk today, you can secure that deal quickly and close on it because you have access to funding. And even those that do have cash still use OPM (other people's money) to do more deals or bigger deals. Here are four ways to find and secure funding for your deals. In today’s market, you have lots of ways to scoop up great deals. One of my favorite place to buy properties right now? 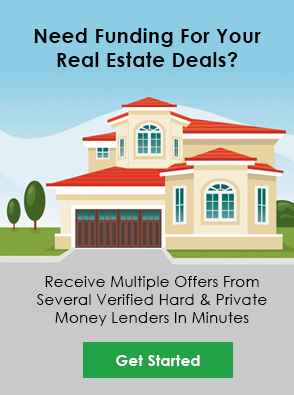 Foreclosure auctions give you access to incredible deals around the country. All you need is a computer and a rock solid understanding of how to analyze deals fast. And the best part? Once you get your head around the process, building your portfolio via foreclosure auctions is totally simple, totally painless and can be done on your time and your terms. How do you flip 50+ houses every single month? How do you generate $100 million per year in transactions, investing in real estate? These are the questions I get all the time. last month in revenue and how I flip 40-50 houses per month. 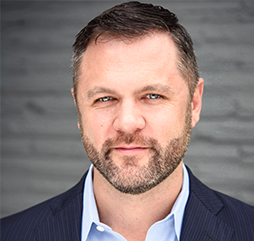 Lee began his real estate career in 2004 and has since bought and sold over 6,000 properties. 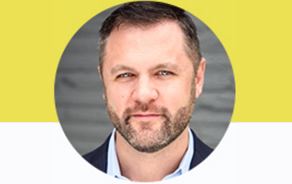 His company, Southeast Property Investments Network (SPIN) fixes and flips properties all across Florida, with sales volumes exceeding $100MM. *Results may vary and are not typical of every individual. Lee Kearney is a Real Estate Investor and business expert. 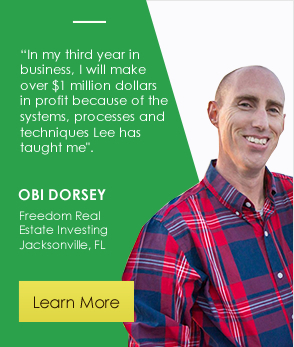 Lee's business success is not typical. When addressing financial matters on any of our websites, videos, newsletters, programs or other content, we've taken every effort to ensure we accurately represent our programs and their ability to grow your business and improve your life. We don't guarantee results or offer legal advice. Real estate investing involves risk and hard work. Always consult with your professionals. Any testimonials showing our success or our students' success are not to be interpreted as common, typical, or expected. It takes education, determination, and hard work to reach your goals. We believe in full transparency and a high standard of integrity, so click here to see our full Earnings Disclaimer. Duis mollis, est non commodo luctus, nisi erat porttitor ligula, eget lacinia odio sem nec elit. Cras justo odio, dapibus ac facilisis in, egestas eget quam. Aenean eu leo quam. Pellentesque ornare sem lacinia quam venenatis vestibulum. Cras justo odio, dapibus ac facilisis in, egestas eget quam. Donec ullamcorper nulla non metus auctor fringilla. Donec sed odio dui. The Ultimate 6-7 Person TeamEtiam porta sem malesuada magna mollis euismod. Nulla vitae elit libero, a pharetra augue. Guide To Raising Private MoneyEtiam porta sem malesuada magna mollis euismod. Nulla vitae elit libero, a pharetra augue. Private Lender Credibility Packet Etiam porta sem malesuada magna mollis euismod. Nulla vitae elit libero, a pharetra augue. Cheat Sheet: Direct Mail List ProvidersEtiam porta sem malesuada magna mollis euismod. Nulla vitae elit libero, a pharetra augue. Execution Plan: Weekly Marketing BlueprintEtiam porta sem malesuada magna mollis euismod. Nulla vitae elit libero, a pharetra augue. Seller LeadFlow BlueprintEtiam porta sem malesuada magna mollis euismod. Nulla vitae elit libero, a pharetra augue. Market Analysis TrainingEtiam porta sem malesuada magna mollis euismod. Nulla vitae elit libero, a pharetra augue. Ultimate Motivated Seller Acquisition StrategiesEtiam porta sem malesuada magna mollis euismod. Nulla vitae elit libero, a pharetra augue. 3 No Money Or Credit Funding StrategiesEtiam porta sem malesuada magna mollis euismod. Nulla vitae elit libero, a pharetra augue.